Michael Porter, Equine Veterinarian: Recurrent Foot Abscess...Radiographs + Farrier = Success! 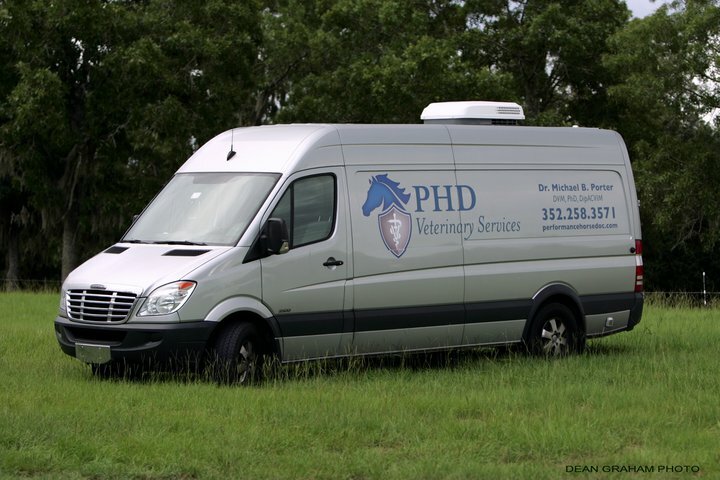 A mobile, equine veterinary specialist that's focused on treating the performance horse and providing advanced prepurchase exams in Florida and southern Georgia. 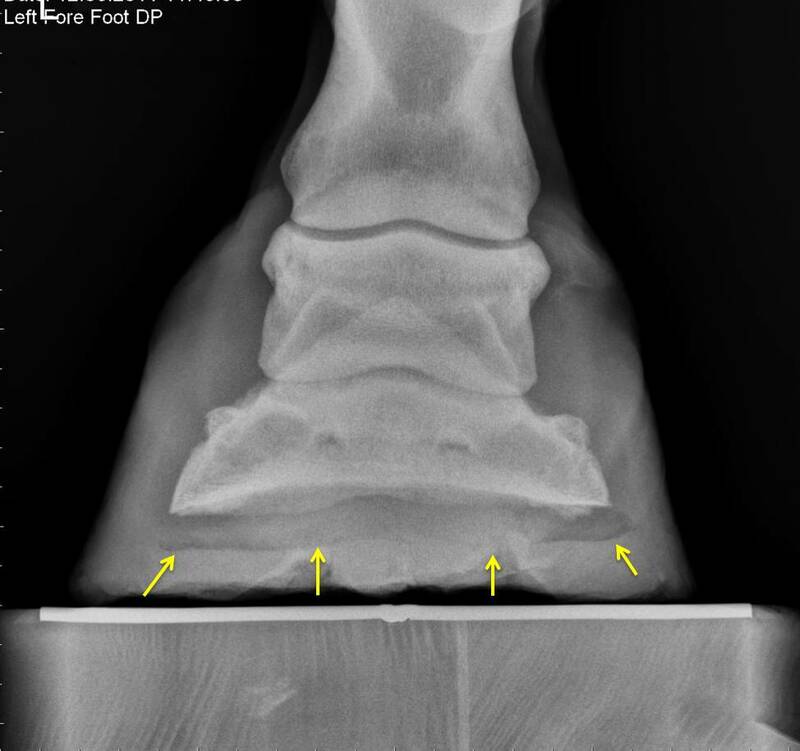 Dr. Porter provides lameness exams on horses including digital radiography and ultrasound. Lameness-related therapies include PRP, IRAP, shockwave,and stem cell treatments. In addition, Dr. Porter's specialty allows him to examine horses for chronic weight loss, colic, cough, and neurologic symptoms. Recurrent Foot Abscess...Radiographs + Farrier = Success! A 10 year old QH gelding presented to Dr. Porter with a history of recurrent foot abscesses in the left front foot. The gelding was lightly ridden and kept in pasture 24/7. At presentation, he was mildly lame in the left front at the walk and there was a draining track along the coronary band consistent with a recent abscess rupture or "gravel". Lateral radiographs (figure above) were taken of the left front foot. A radiolucent pocket of gas/debris (yellow line in above radiograph) was seen about 1cm deep to the sole and at the tip of the coffin bone. These findings were consistent with a current sub-solar abscess that was likely communicating with the gravel. In addition to the lateral radiograph, a dorsal-palmar view was taken. 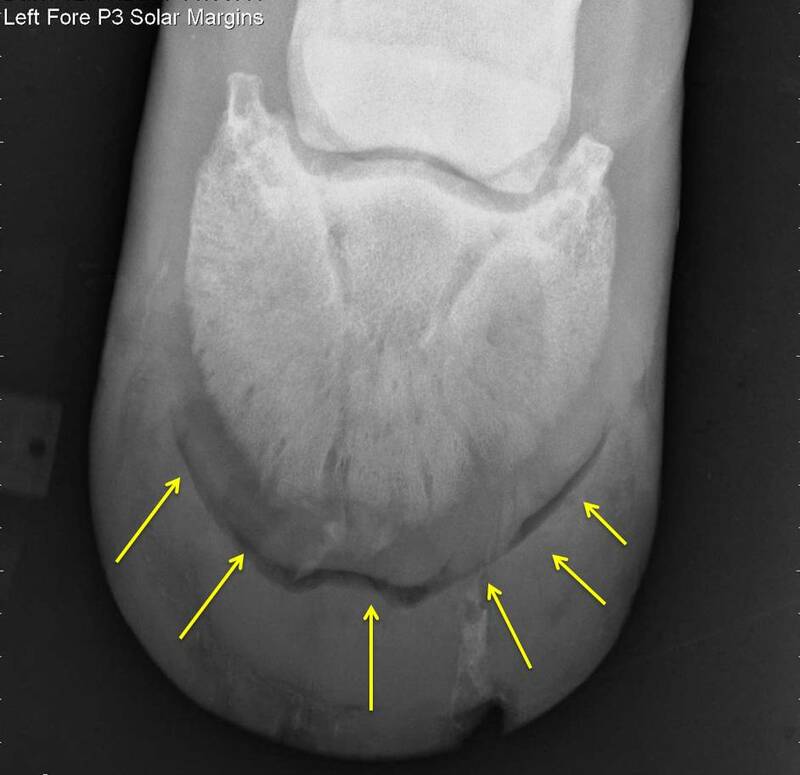 Careful exam noted a gas/debris lucency that covered the entire sub-solar margin of the foot (Yellow arrows above). These findings suggested a much bigger problem. Hence, a special radiographic view was taken of the coffin bone with the plate below the foot and the x-ray generator above the foot. The results indicated a severe sub-solar abscess that nearly consisted of the entire foot. Following the radiographic exam, a modified hospital-plate shoe was fixed to the foot and the entire abscess (Red outlined area in figure above) was exposed by carefully removing the affected sole. There were pockets of gas along with pockets of purulent debris that appeared to communicate with the draining abscess along the coronary band. This was not a simple sub-solar abscess but rather a very large, chronic abscess that required special radiographic imaging and a talented farrier. Special thanks to Billy Bishop for designing the hospital plate, setting it in place, and helping with the abscess removal. 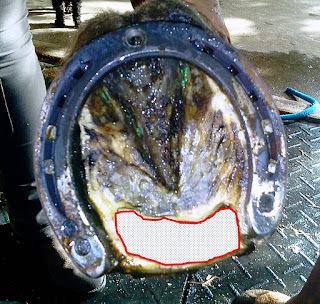 The horses's foot was soaked in Epsom salt solution daily and then packed with sole pack. Within 24 hours, the gelding was sound at the walk and trot with plate in place. His recovery and treatment will be made easier with the hospital plate and we expect a full recovery! 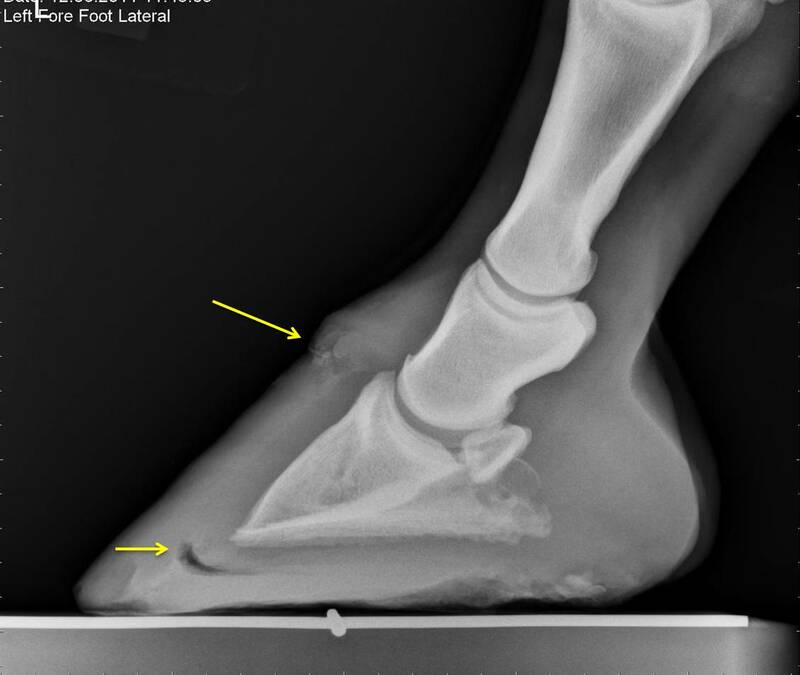 Disease states that may result in chronic foot abscesses include laminitis and keratomas. Conformational issues include thin soles and under-run heels. If you have a horse with recurrent foot abscesses, I strongly recommend a radiographic exam. I was born in Bogota, Colombia in 1970 and moved to Miami, Florida when I was 7 years old. After high school, I earned my bachelor's degree from the University of Virginia and my graduate degrees from the University of Florida. After graduating from graduate school, I specialized in Large Animal Internal Medicine and subsequently developed the Mobile Equine Diagnostic Service at the University of Florida. 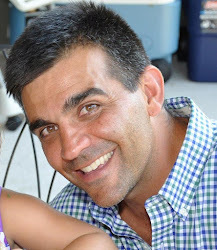 Currently, I am the owner of PHD Veterinary Services which provides advanced treatment and diagnostics to equine patients in north central Florida and southern Georgia.